We must make the connection between how we see ourselves and how we will approach life. If we see ourselves as bad, insignificant, inferior, or targets of God’s wrath, we will never feel as if we can trust God to equip us, bless us, or use us. But if we see ourselves as the chosen bride of Christ, we will know beyond a shadow of a doubt that we can approach our Bridegroom with confidence, and that He will give us all that we need to do whatever He wants us to do (Philippians 4:19). 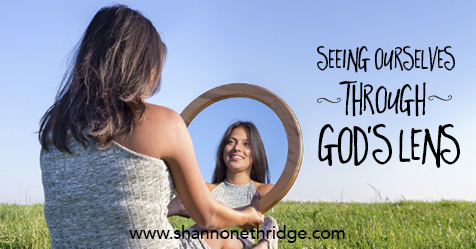 …When you sense God asking you to do something or talk to someone, remember who you are. You are not an abandoned orphan, but God’s own cherished child whom He loves without measure. Whatever He calls you to do, He will lovingly provide the resources for you to be successful. Do you need strength? Courage? A vision or a plan? Finances? Wisdom or discernment? Our God can provide all those things and more in abundance. If we believe that His love is constantly flowing into us, that love will nourish us, equip us for our mission in life, and enable us to be a source of God’s love in others’ lives as well. I can’t stress enough that how we see ourselves in relation to God has everything to do with our spiritual growth and effectiveness. We must learn to see ourselves as His beloved bride in order to identify with the purpose for which we were created: to be in relationship with and in service to our heavenly Bridegroom. 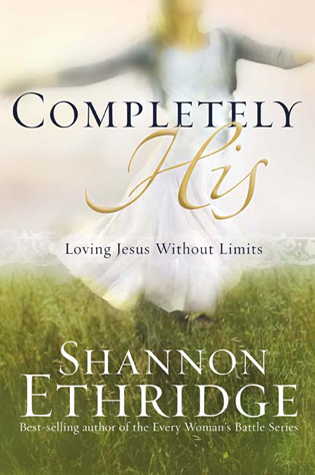 Excerpted from Completely His: Loving Jesus Without Limits by Shannon Ethridge. Copyright 2007. All Rights Reserved. Published by WaterBrook Press, Colorado Springs, CO 80921. Used by Permission. Not to be copied without Publisher’s prior written approval.